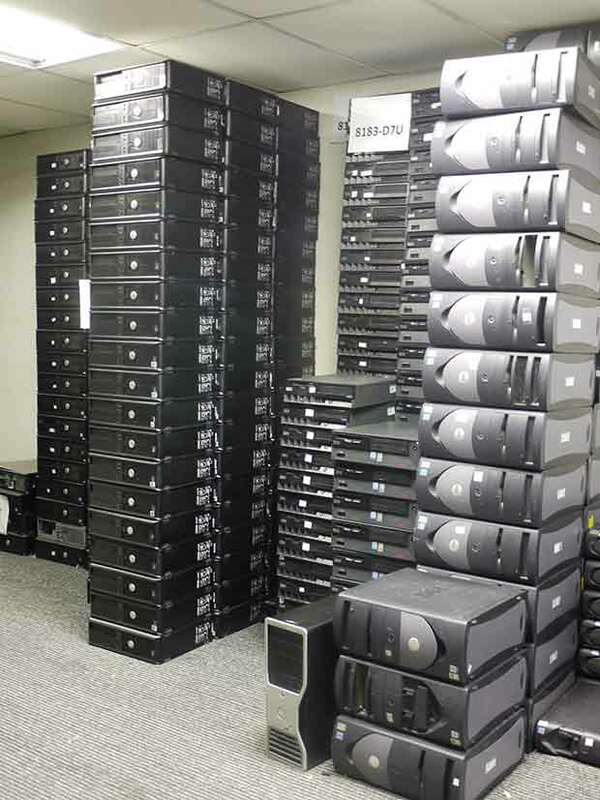 Reckon Data Systems, Inc. provides a safe, secure facility for clients looking to store their IT equipment while implementing a disposal or reuse strategy. We offer cost-effective short-term, mid-term and long-term solutions for equipment that takes up valuable space from your premises. We offer fully-insured pickup and delivery services, and guarantee your equipment will be returned in the same condition as it was received. Our staff will thoroughly document each and every item received, and we provide a fully comprehensive inventory report to all of our clients detailing manufacturer, make, model, serial number, condition received and any other notes that may be applicable. Reckon Data Systems will prepare and ship your equipment to any location without hassle. Utilizing our own trucks as well as professional freight partners - we handle the entire redeployment process. Inside the Reckon Data Systems, Inc. storage facility.